Is Jon Snow alive? Kit Harington spotted on set of "Game of Thrones"
Get ready to freak out -- a favorite "Game of Thrones" character may be coming back. Fans of the hit HBO series were shocked when Jon Snow (Kit Harington) was betrayed and killed by the Night's Watch in the season 5 "GoT" finale. Watch: Did Kit Harington totally spoil Jon Snow's "GoT" fate? A photo (which you can see here) of Harington in his full costume on the "GoT" set in Belfast has surfaced, hinting that his character may have survived that untimely death. It isn't confirmed if the 28-year-old actor is officially returning to the HBO juggernaut, but the pictures are dropping major clues that we most likely haven't seen the last of Snow. Whether he'll be alive or in flashbacks, well, that's just another question let up to the "GoT" gods, because know less than Jon Snow. This isn't the first time there has been speculation of Jon Snow's return from the dead. Harington has been spotted around Belfast, where they have been filming season six, for the past several weeks. Even though HBO President of Programming Michael Lombardo, insisted that the fan favorite is long gone during a panel discussion at Comic-Con in July, members of the cast remained secretive about the fate of the character when asked about Jon Snow at the Emmys last week. Alfie Allen told ET that "he lives on in memory," while Carice van Houten, who plays red priestess Melisandre and can be seen under the umbrella in the photo, responded to rumors about using witchcraft to resurrect him. "I've heard, I've heard, but I'm not going to say anything," she said. 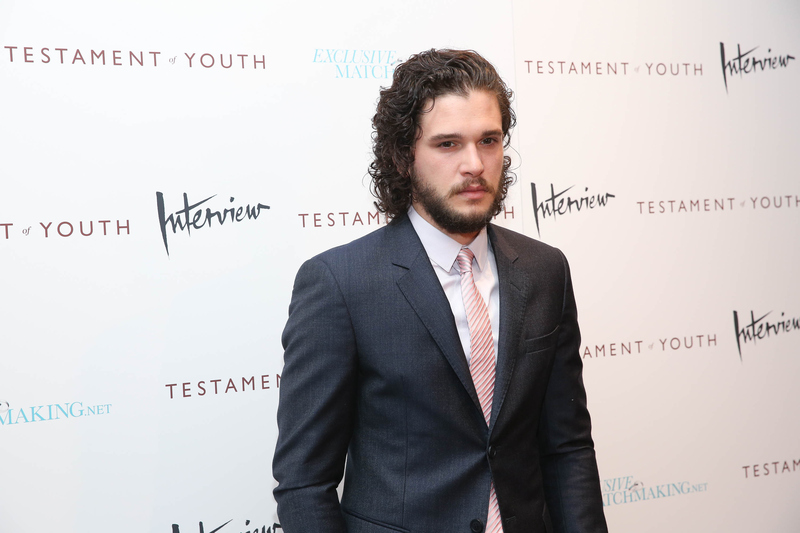 Even Harington, who has still been rocking Snow's signature long locks, has teased his return. "Game of Thrones" will remain a part of my life for a while,' he said in an interview with Belgian magazine Humo. Watch the video below to see what he had to say about his future on the show.